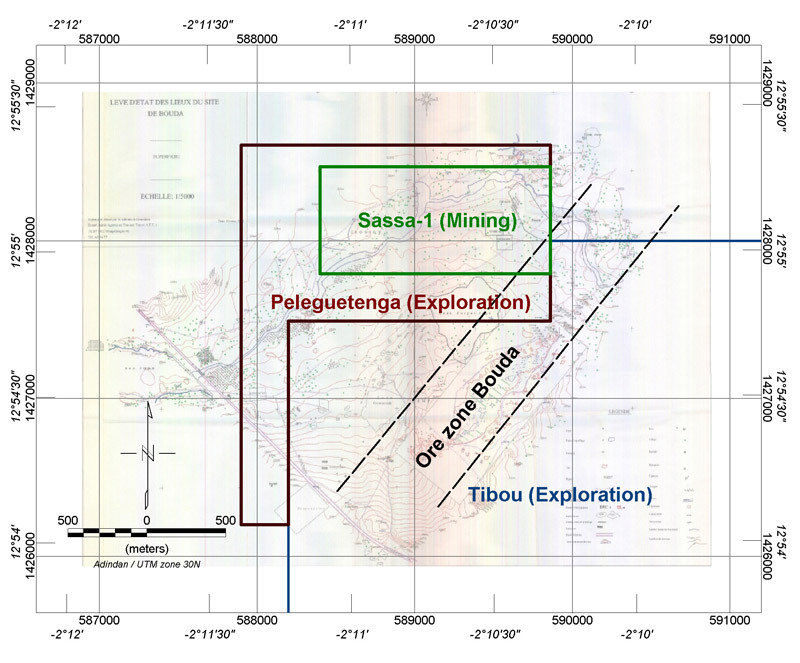 The well-known gold-bearing Bouda zone crosses the Tibou permit and the NE corner of the Peleguetenga permit. 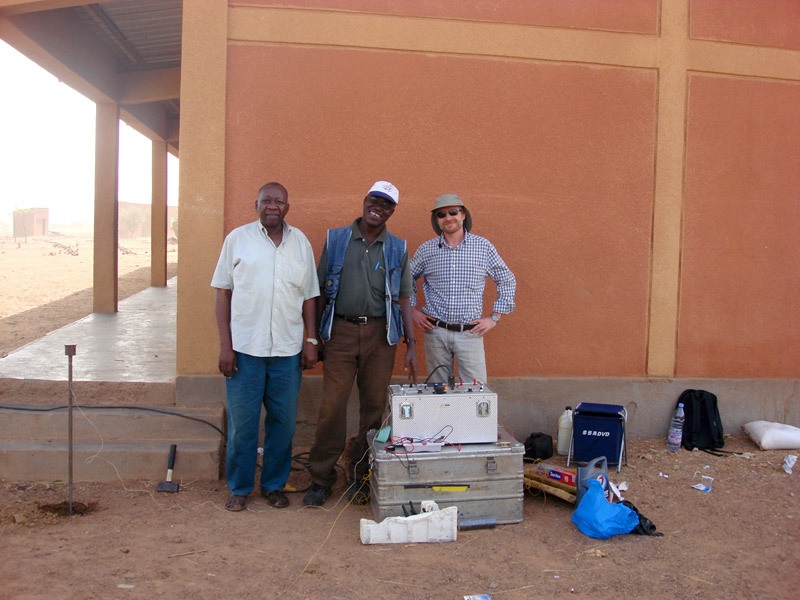 Data available from the exploration program carried out in the 1990's by BHP Minerals indicates reserves of more than 20 t of gold to a depth of 150 m. We have run a combination of geophysics, geochemistry, and geo-mapping to verify and, quite probably, extend the resource base. The Bouda resource has been estimated based on the data derived from an RC drilling campaign. The inferred resource is about 215 KOz Au, with the potential of increase to 500 KOz in the next phase of the drilling program. The JORC-compliant report is available upon request.